Overweight... AND OVER IT! 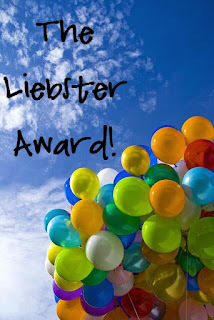 : My First Liebster Award! Woot Woot! 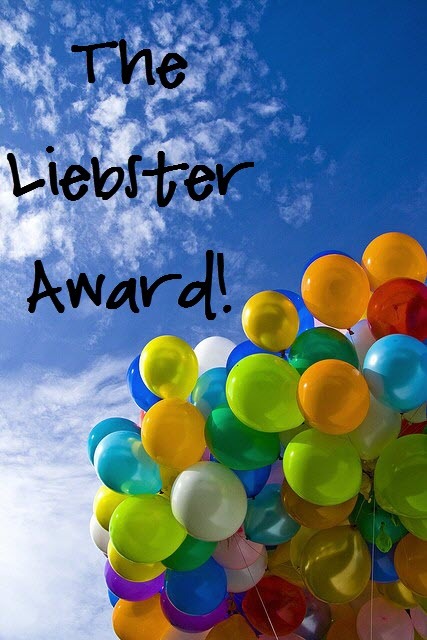 I received a Liebster Award! Thanks so much to Aanika of ‘The Active Mum’ for nominating me for the Liebster Award! How exciting! Everyone, please check out her blog and like her page on Facebook! 1. Each blogger posts 11 random facts about themselves. 1. I've been the worship leader at my church for 14 years. I love to sing and worship God! 2. During my pre-teen years I would come home from school and record Kids Incorporated and The Mickey Mouse Club (pre-Britney, Christina, and Justin), learning the words and dance moves to every song. I would practice them and dream of being on those shows! One day I was busted when I didn’t hear my mom come home and she saw me in full concert mode. I was mortified! 3. I do some fun accents and would love to do voice-over acting. 6. New Kids on the Block? Oh yes! I was a big fan and have never really forgiven my parents for not allowing me to go to even ONE concert, even though all my friends were going. When New Kids did a comeback tour a few years ago and I could make my own decisions about going, I didn’t. I suppose I should forgive my parents and move on! 7. I love to hunt waterfowl with my husband. Most people look at me and would never imagine me hunting ducks and geese… or hunting for anything other than a good bargain. 8. I love baking and making home-cooked meals. I’m currently working on eating less of what I make! My favorite type of food OF ALL TIME is Cajun! I can never get enough. 9. I was in show choir and on the flag team in high school and LOVED IT! It wasn’t Glee-style show choir but it was still fun. 10. I still struggle to stop trying to please others. I’m much better than I used to be but I certainly need some improvement. 11. Instagram is my favorite iPhone app! Here are my answers to the questions from Aanika! I needed a way to keep myself accountable in my weight loss journey, so I decided to start a blog. My passion is to help others become the best version of themselves, so I figured I would share with the world my struggles and victories of overcoming adversity! This means the good, the bad, and the super-ugly! 2. Do you have more than one blog? If so give your other blogs a spruke! I do have another blog! It’s on an intranet site for my Dare to Dream group at work. It’s focused on recognizing and achieving your dreams, making choices that will get you closer to your dreams, and other inspirational and motivational topics! 3. What is your favorite thing to snack on? I’m really into smoothies right now. I have a mean sweet tooth and a tall, cold, frosty smoothie hits the spot. AND it’s healthy! My current favorite is a green smoothie with spinach, a banana, peanut butter, 1 scoop of vanilla whey protein powder, ice, and water. Oh my goodness… it’s DEEEEEE-LISH! 5. Tic Tacs: Do you chew them? 6. If you could describe yourself in only 3 words what would they be? 7. Is there a single person that has influenced your life in a big way (family or celebrity)? I can’t choose between two so I’m listing them both. My parents have influenced me to be the way I am today. They’ve helped me to see that I can overcome all adversity that’s thrown my way and rely on God through it all. They’ve both led by example to teach me that God can use any situation to help others, if you are willing to share your story and be transparent. They are AMAZING and I can’t imagine what my life would be now had things been any different. 8. How many hours sleep a night do you average? Is it enough? Between 7 and 8 hours… it must be enough because I’m not dragging all day, but I never feel like getting out of bed and always want to continue sleeping! 9. What are your 3 main goals for 2013? Continue losing weight and creating new, healthy habits; transition into my dream career role; and inspire others to pursue their dreams and overcome! 10. What is your biggest vice? I started a habit sometime in 1998 or 1999 of trying to mask my emotions with food. When I felt stressed, anxious, depressed, happy, (or any emotion really) I used it as a reason to eat, whether I was truly hungry or not. It never worked for me. I never left me feeling happy or fulfilled. It’s only led to more struggles. Breaking this habit is the hardest part of my journey to health – and it’s the reason it’s taking me longer than I’d like - but once I overcome this vice (and I WILL) I truly believe I will be able to live a healthy life where I turn to God, not food, to get me through. The Bible is my favorite book because it’s God’s Living Word! Other favorites are 48 Days to the Work You Love, The Dream Manager, and Extravagant Worship – they inspire me to follow my dreams. 4. Movin' It With Michelle... Running, Recipes, & Real Life Adventures! 2. What advice would you give to someone who’s about to begin pursuing their dreams? 3. What’s your favorite healthy lunch? 4. What’s your favorite type of exercise? 5. You’re alone in your car and an awesome song comes on. Do you belt it out, full-on concert mode? 7. Who has influenced your life in a big way? 8. What is one thing you would tell the 18 year-old you? 9. What are your 3 main dreams for 2013? 10. What is your biggest challenge; that one thing you really want to overcome? 11. What song really inspires you and helps you to move towards your dreams? Thanks again, Aanika, for the nomination! It was such a blast. 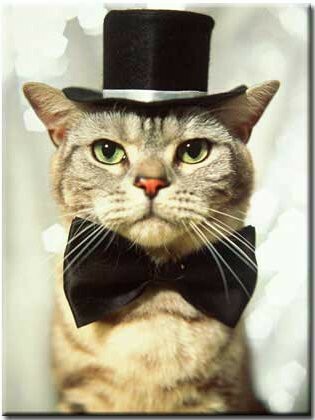 Nominees, I hope you have fun with this, too! Love it Chrissy! You're so much fun!! I'm pretty sure I was caught a dozen times dancing and singing on my own (actually if my hubby was quick enough he'd catch me these days too but ssssh don't tell anyone!!) lol! Awww thanks!! I love singing and dancing anytime, anywhere!! It is funny to get busted when you aren't expecting it! 1:I love cheese! It's one of the most amazing foods, ever. 2: I traveled the US on a singing tour twice when I was a teenager and loved it. 3: I cry over anything sad, happy or any kind of emotion.. I am one of those people who cry over pampers and abused animals commercials. 4: I'm finding it really hard to think of 11 random things to write about myself. 5. I'm very funny and sarcastic. Lol. 6. I love Just For Laughs Gags show. 8. I am horribly afraid of heights. 9. I get motion sickness often. 10. Eggs make me sick and I love the taste of them and no, I am not allergic. 11. I love everything girly! To motivate and encourage others who are living a healthy lifestyle. I love a good turkey sub loaded with veggies or someone homemade chili! I honestly love walking, it's something I enjoy doing every day! Oh heck yeah! Singing is one of my passions! Jesus, my personal Saviour, I am lost without his love and guidance in my life. Hey! Don't get a tattoo! LOL! Get to my goal weight. Run a 5k. The times when I tell myself "I can't" without even trying. Everyone, be sure to like Kristy's Facebook page "Going from FLAB to FAB'! She rocks and inspires me to keep moving towards my dream of being healthy and getting rid of this weight!!! I will absolutely participate. I don't have 11 bloggers to send it too but I will post my answers on my blog for you and my followers to read. :) Thanks. Ha! Thank you... I LOVE the non-murdery kind of crazy!!!!!!!!!!! AWESOME!!! I'm heading there now, Monica. I can't wait to read it!